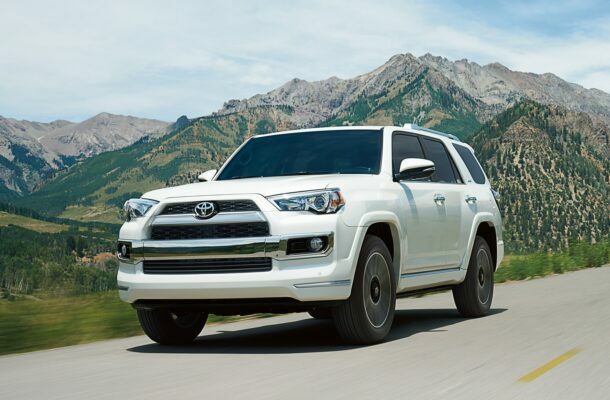 Unlike other Toyotas, the 4Runner isn’t endowed with much active safety equipment: no adaptive cruise control, blind-spot monitors, or automatic emergency braking. The NHTSA rates it at four stars overall, with a three-star rollover rating. The IIHS rating is a bit better, but still “Marginal” in the small-overlap crash test. The front seats are firm and well-bolstered, but they’re low. The rear seats have decent space for two, and can accommodate three. The third row is difficult to access, and it’s only big enough for children—something to keep in mind if you consider the 4Runner a replacement for a three-row crossover SUV. The 2019 Toyota 4Runner makes the most sense if it’s used off pavement a lot. Its performance is less civilized on hard roads—but when the trail turns muddy, you won’t find an SUV that can do more.